Considering there are over 17,000 car dealerships in the United States, you’d be forgiven for thinking that if you’ve been to one, you’ve been to all. However, don’t make the mistake of thinking that all car dealerships are created equally – in fact, there are several key differences between a quality dealership like DePaula Chevy and some of the less reputable dealerships in the area. Of course, it can be hard to know if you’re experiencing just great service, or if you’re a victim of snake-oil sales tactics. Read on to explore some of the warning signs that you’re about to buy a car from a dealership that doesn’t have your best interest in mind… and in fact, they just have dollars on the brain. For starters, you want to look at the dealership itself. Is it clean and well-maintained? What about it’s website? Is it easy to use, clear and upfront? 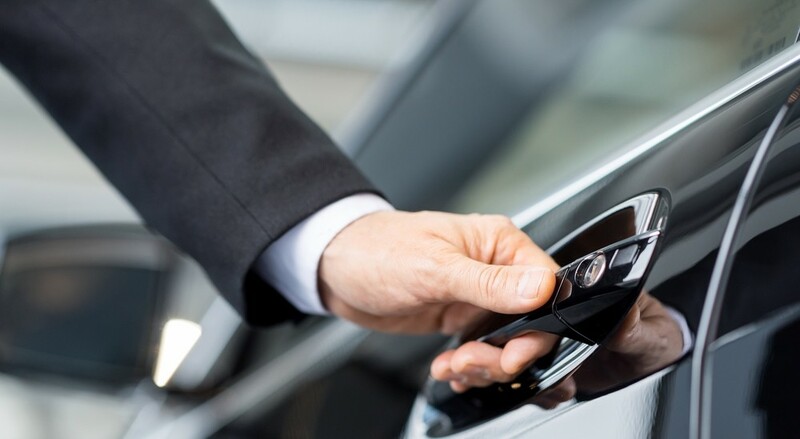 They say that first impressions count, and that holds true for car dealerships too. You don’t want to work with a dealership that doesn’t value you by upholding its standards. Additionally, you don’t want to have to hunt for the dealership’s prices on inventory. A few quick clicks our the DePaula Chevy website shows you exactly what we have in stock and at what prices – we don’t play games with our customers at DePaula Chevy. We want our customers to see exactly what we have in stock and how much they can expect to pay for each and every car… we don’t want you to have to take precious time out of your day to come down to our lot just find that the car of your dreams is out of stock or out of your price range. Bottom line – if you’re considering going to a dealership that doesn’t seem to want to give you any information upfront, you may be working with a less-than-reputable car dealership. In fact, if you spend some time browsing the DePaula Chevrolet website, you may be surprised by just how much information we offer our customers. From listing our new and used inventory prices to clearly showing our specials and rebates, we want our customers to have all of the information they need to make an informed decision right at their fingertips. We are even available to chat online if you run into any questions while you shop. Of course these aren’t hard and fast rules, but as you visit car dealerships keep in mind that you probably want to stick with one that has their own service department onsite. You don’t want to go to any side-of-the-road dealer and trust that the cars they are selling have been well-inspected and repaired if necessary. At a dealership like DePaula Chevrolet, we have our very own service center on-site, and it’s staffed with only the most highly trained and professional service technicians. Whether it’s routine maintenance or a repair requiring a little more specialization, our technicians will have you back on the road in no time. But you don’t just want to find a car dealership with a service center – after all, there are plenty of those around. You want to find a car dealership with a service center that values your time and money – like DePaula Chevrolet. Our service center not only offers service specials to help you save a little cash on keeping your car up-to-date with routine maintenance, but we also save you time by making it easy to schedule appointments. Simply hop online, click on “Schedule Service” and enter a few key pieces of information regarding your car’s make, model and the service you are requesting and we’ll confirm your appointment online. And if you’d prefer to give us a call, you are always welcome to do so by calling 518-205-6032. Buying a car is one of the biggest financial commitments most people make and you only want to work with dealership that respects the gravity of your purchase. If you are working with a dealership that makes you feel uncomfortable working with their finance teams, you are working with the wrong dealership. You don’t want to feel foolish or pushed into signing a contract you may not fully understand – you want to sit in the driver’s seat of your new car knowing exactly what your loan agreement and financial obligations are. At DePaula Chevrolet, our finance team is here to help you figure out the best way to finance your car and can help you secure the best loan for your vehicle. We even give you the tools you need to get your financing underway online. Simply visit our website and you can fill out a secure finance application to get started purchasing your new car. In fact, you can even use our handy payment calculator to help you figure out how much money you should have as a down payment and the best loan terms for your budget. And if you have have a vehicle that you are hoping to trade-in, simply use our trade-in valuation tool, which is powered by Kelley Blue Book. At DePaula Chevrolet, we want you to feel as prepared as possible before you even step foot onto our lot. A huge tip-off that a dealership may not be exactly above-board is if they make it hard to do business with… and we don’t mean because they are pushy or obnoxious (although you want to avoid that too). No, if you have to move your schedule around in order to fit around their schedule, then the dealership doesn’t have your best interest in mind. At DePaula Chevrolet, we know that your time is valuable and that you need a dealership that is ready to do business when you are. That’s why we are open Monday through Thursday from 8:30 AM to 8:00 PM and Fridays and Saturdays from 8:30 AM to 6:00 PM. As much as we respect your time, we also respect our employee’s time, so we close on Sunday’s to allow them to unwind, visit with friends and family and regroup for the busy week ahead. Don’t waste your time shopping at a car dealership that makes you wonder if you’re being taken for a ride. Come down to DePaula Chevrolet and work only with the true professionals.